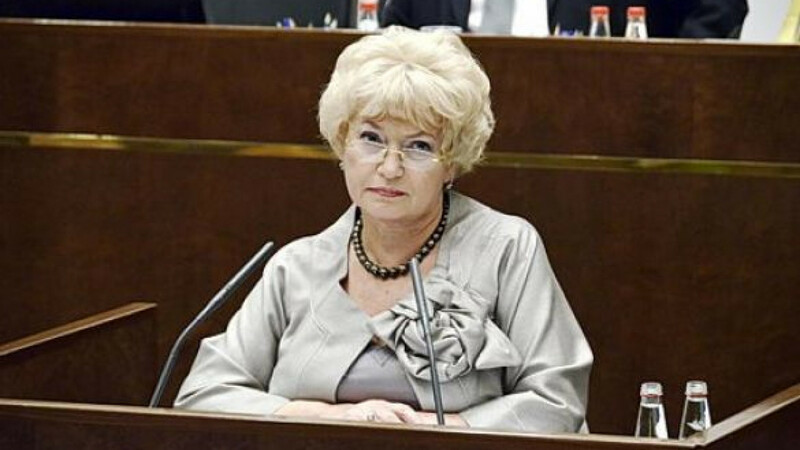 Lyudmila Narusova had worked in the Federation Council, the country's upper house of parliament, for the past 10 years. There were many familiar faces at the Federation Council's opening session on Wednesday, but that of long-time senator Lyudmila Narusova wasn't one of them. Narusova, 61, was recalled by order of Bryansk Governor Nikolai Denin on Oct. 22, which was seen as possible retribution for the opposition activities of her daughter, TV host Ksenia Sobchak. "I don't want to believe it, but I can't exclude that possibility," Narusova said in an interview last month with Izvestia. She described herself as the victim of political horse trading. Narusova was replaced by Mikhail Marchenko, a popular Bryansk lawmaker who abruptly dropped out of the gubernatorial race last month to support Denin, of the ruling United Russia party. The widow of St. Petersburg Mayor Anatoly Sobchak, who mentored Vladimir Putin in the 1990s, Narusova said the Liberal Democratic Party "fixed" the gubernatorial race to install its candidate, Marchenko, in the senatorship. After losing her seat, Narusova slammed the Federation Council — whose members are governor-appointed — as a rubber-stamp legislature where her independent streak was unwelcome. "I'm not a very desirable figure precisely because I call a spade a spade," she said in an interview with Ekho Moskvy radio on Friday. Daughter Ksenia Sobchak, who gained fame as a socialite in the 2000s, has taken an active role in Moscow street protests that erupted in December. Last month, she was elected to the opposition movement's Coordination Council. Sobchak has found herself largely barred from state-controlled television, and her apartment was searched by investigators in connection with violence at a protest in May. At Wednesday's Federation Council session, Speaker Valentina Matviyenko thanked Narusova for her years of service — Narusova represented Tyva and later Bryansk for a combined 10 years — and awarded her with a certificate, RIA-Novosti reported. Noting Narusova's absence, Matviyenko said she hoped that the now former senator would find the time to receive the award. In a more bizarre development, Senator Akhmed Bilalov of the Krasnodar region announced that he would be leaving the Federation Council after just over a year on the job. Bilalov, who was elected to the Krasnodar regional legislature last month, said he'd give up both posts to focus on developing tourism in the North Caucasus.